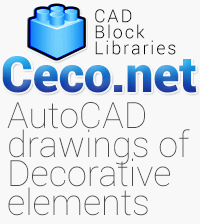 Description for this Autocad block : One of the most popular architectural materials is iron. From iron balconies to iron doors, from decorative iron items to iron fencing and gates, people love the look and strength of olde good iron. 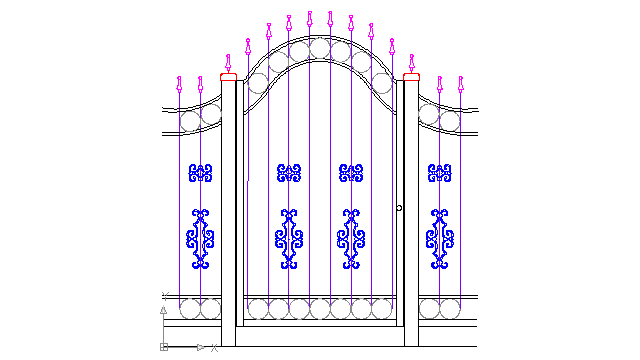 Iron ornamental tailgateIf you are looking for an iron balcony, there are many styles from which to choose including both classic looks and detailed designs. Iron options vary from practical choices like iron grates and window guards to items aimed at beautiful decor such as iron wall hangings.